Certain calorie rich diets appears to be safe in people with ALS. But larger studies are needed to determine whether these changes extend life. Fuel up Calorie rich diets including a high fat and a ketogenic diet may help people fight a growing number of diseases. But only a high calorie high carbohydrate diet (30% fat; 54% carbohydrate; 17% protein) appears to be safe and well tolerated by people with ALS - at least in later stages of disease according to a new study led by Massachusetts General Hospital neurologist Anne-Marie Wills MD MPH. Image: Purplemattfish, Flickr. Eating right helps keep us healthy. But for people with ALS, this can be difficult to do. About 2 out of 3 people with ALS by some estimates burn calories too quickly. And, according to University of Kentucky’s Ed Kasarskis MD PhD, most of them do not eat enough food to meet their recommended daily allowance. A growing number of clinicians suspect that a high calorie diet implemented early in their disease may help people with ALS meet their increased energy needs. And, extend their survival. Maintaining or slightly exceeding their recommended calorie intake may extend life for people with ALS. 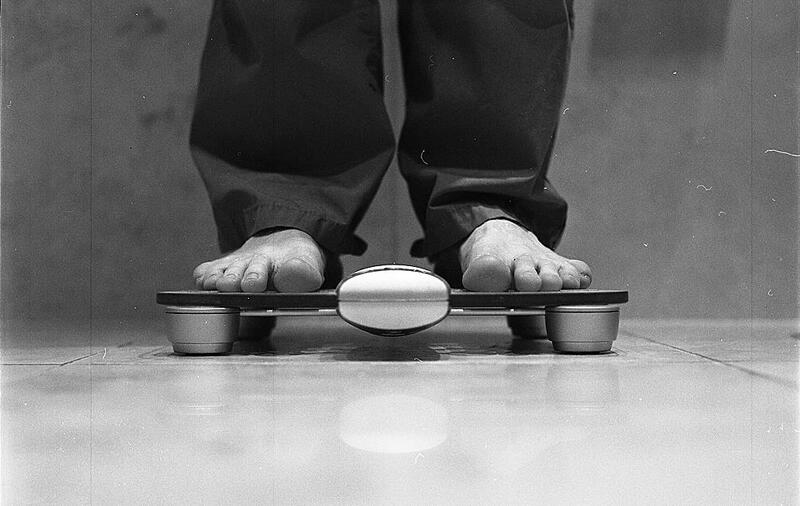 People with ALS who are slightly overweight (BMI: 30 – 35 m/kg2) appear to progress more slowly according to a retrospective analysis led by Massachusetts General Hospital neurologist Anne-Marie Wills MD MPH. And, people with ALS that lose no more than 5% of their body weight at diagnosis live about 9 months longer according to studies led by nutrition specialist Jean-Claude Desport MD and neuroepidemiologist Phillipe Couratier MD PhD of Université de Limoges. What’s more, people with ALS who do not eat enough appear to die more quickly from the disease. But how to increase calorie intake remains an open question. Many people with ALS have trouble swallowing (dysphagia). And, lose weight rapidly due to muscle atrophy and disuse. Certain high calorie supplements appear to be safe and well tolerated by people with ALS according to studies led by Universitätsklinikum Ulm's Albert Ludolph MD. And, appear to stabilize body weight within 3 months. At Massachusetts General Hospital in Boston, Anne-Marie Wills MD MPH weighs in on nutrition for people with ALS. And, key challenges implementing such nutritional changes into general practice. What is a calorie-rich diet? Massachusetts General Hospital neurologist Anne-Marie Wills MD MPH explains. Image: Brian Talbot, Flickr.